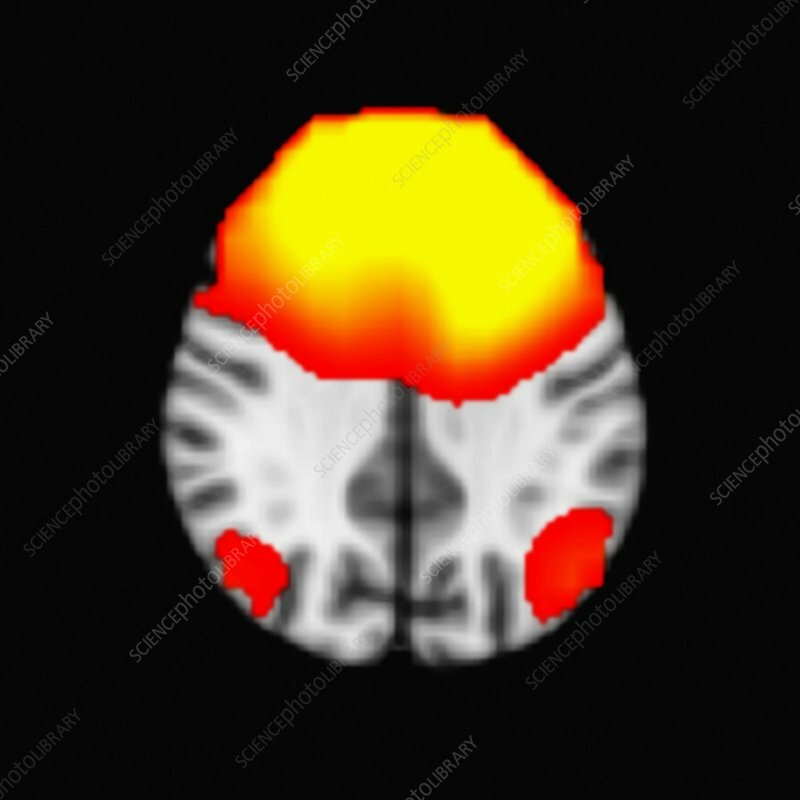 Magnetoencephalography (MEG) scan of an axial slice of a human brain, showing network activity in the resting or 'default-mode' state. This network is only found at rest and disappears when the subject is given a task. The 'default-mode' network and its connection to various neurological diseases and disorders is currently being intensively researched.The MEG scanner images the magnetic fields produced by the electrical currents resulting from neuronal activity within the brain and the gradient of activity is from areas of low (red) to high (yellow).